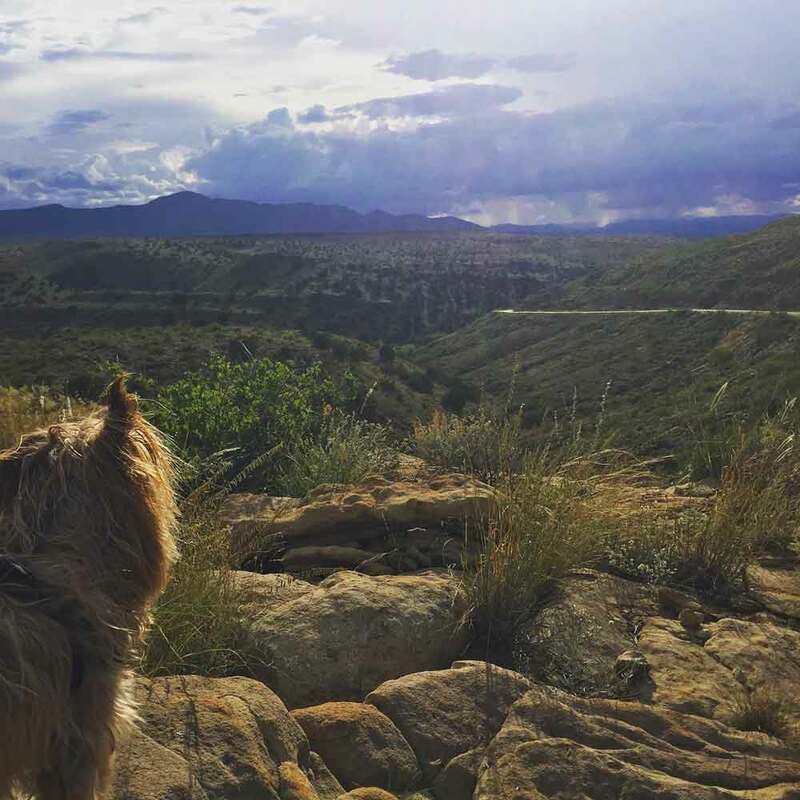 My exploratory day trip to Caballo was so enjoyable that later the same week I took Mojo on another Geronimo Trail adventure. This time, I started on 181 South at its more northern junction out by Elephant Butte Lake, jogged over to the 195 south for a drive (still going south) through Elephant Butte, then, on a whim, I took the turn onto 51 toward Engle. 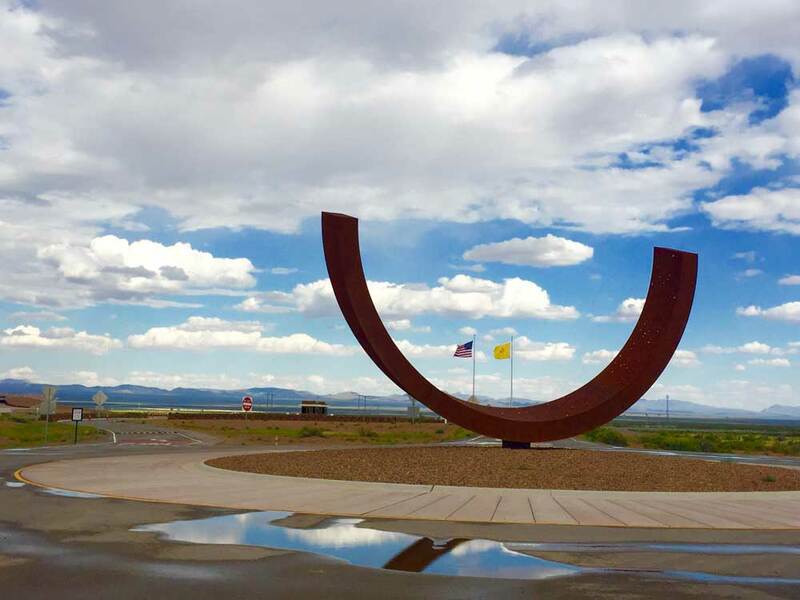 Although it’s technically not on the Geronimo Trail, Engle is considered a side trip to the Rio Grande leg of the trail, and it’s along the El Camino Real Auto Tour, so I went for it. The sun was shining with dark gray clouds gathering in the direction I was heading, and I imagined a little rain on the road might make things more interesting. Driving along with the radio blasting and very few cars passing, the Fra Cristobal and San Mateo Mountains to the west and San Andres Mountains as a distant backdrop in the northeast, I was feeling good. 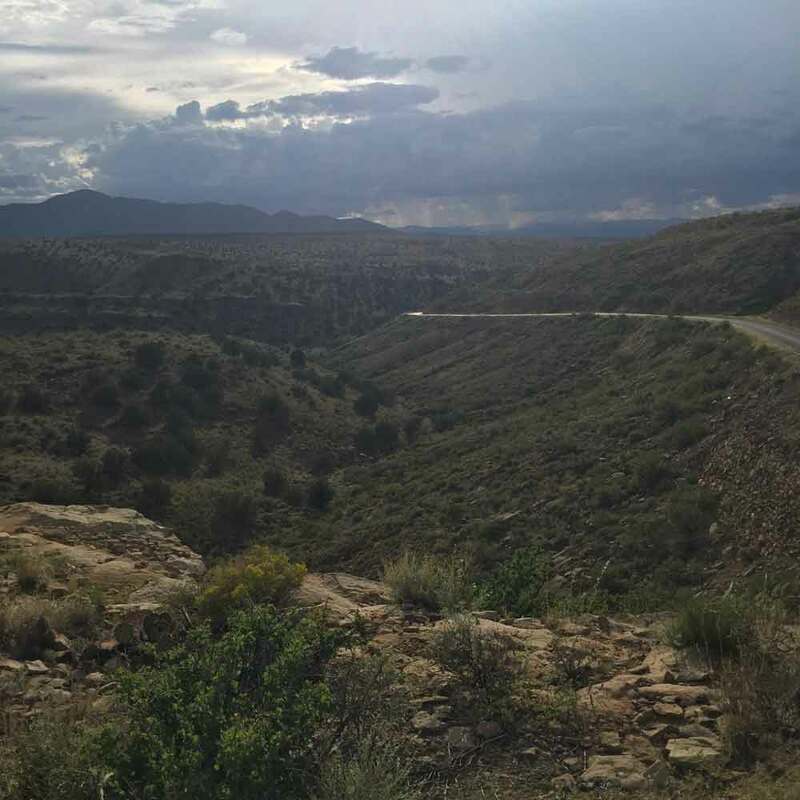 The skies were shifting overhead as I cruised along, and when those gray clouds finally burst, about a mile or so past the right turn I made by the entrance to the Armendaris Ranch, I pulled off the road to run in the rain with Mojo. If I’d kept driving south, I would’ve ended up at the Yost Escarpment and Point of Rocks Trailheads, which are both part of the Jornada del Muerto. 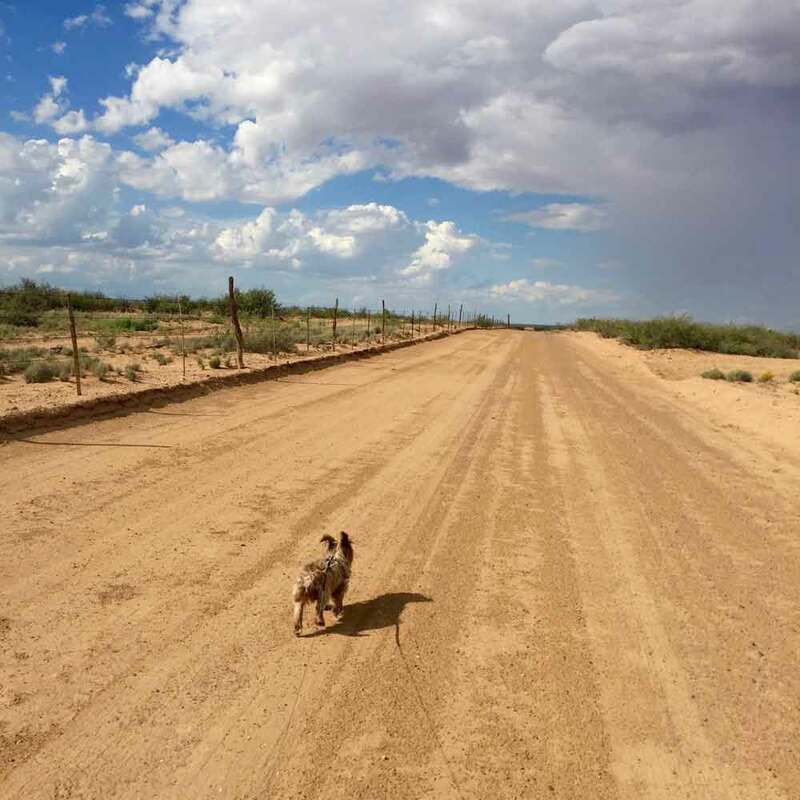 My old Honda Accord wasn’t really up for the dips and dives in the freshly muddied and unpaved, rocky road, though, so I headed east and ended up at a long dirt road that took us past the Spaceport. The sun was shining again, so I got out for a short walk and then turned around and headed back toward town. As I approached the mountain-hugging section of 51 that winds somewhat steeply on its climb to the Elephant Butte Dam Historic Site and Overlook before making its way down toward Truth or Consequences, I noticed a small pull-off spot with a U.S. Bureau of Reclamation sign posted at a trailhead. We left the rain behind in Engle and I was itching for a hike in a place I’d never been, so I parked the car and got out to stretch my legs. After wandering around for a while on the dirt trail interwoven with a wash that stretches on for further than I could go before dark, I made my way back and found a rocky spot closer to my car that looked like the perfect place to sit and drink in some awe-inspiring scenery. 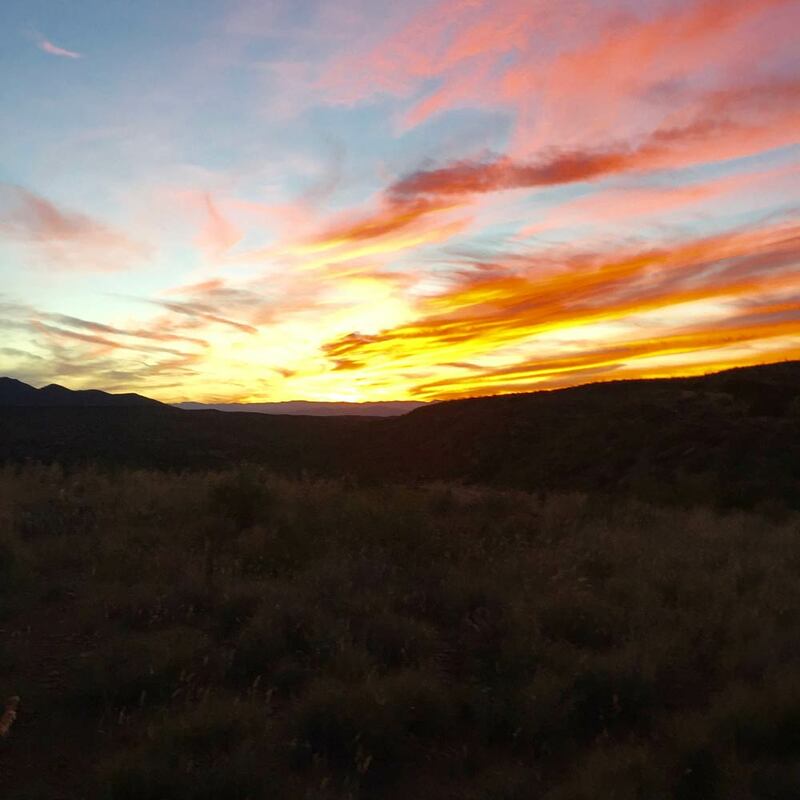 We watched the sunset there—Mojo and I. Coyotes were yipping and howling in their crazed, cartoon-like way as the sky lit up in a fiery burst of red, pink, and gold. I took photos, wrote a song, and whispered words of thankfulness for this amazingly beautiful place we call home.